Today’s post comes to you from Frances of Discovering the World through My Son’s Eyes. Frances is the genuine article – sincere, kind, and totally devoted to her child. As a fellow member of the Multicultural Kids Blogs group, she is also someone I know I can always rely on for an encouraging word. In this post she shares some wonderfully practical ideas for helping our children celebrate their multiculturalism – what a great way to celebrate Martin Luther King Day! Even though we live in the 21st century, and we have growing numbers of biracial and multicultural families; prejudice and bigotry are still very much present. To counteract all the negativity that we see we must celebrate our multiculturalism by encouraging our children to be themselves and to honor their culture and heritage, and they can do so while respecting cultures that are different from their own. We can instill in our children a sense of pride by celebrating our multiculturalism through everyday actions such as talking about their culture and exposing them to traditions and foods. Children’s books about multiculturalism are a great resource, too! I really like this book, and so does my little one. The colors are bold and bright, and the sentences are short and to the point. Of course, there are no green aliens on earth, but it does deliver a message of acceptance and understanding that it’s okay to be different. 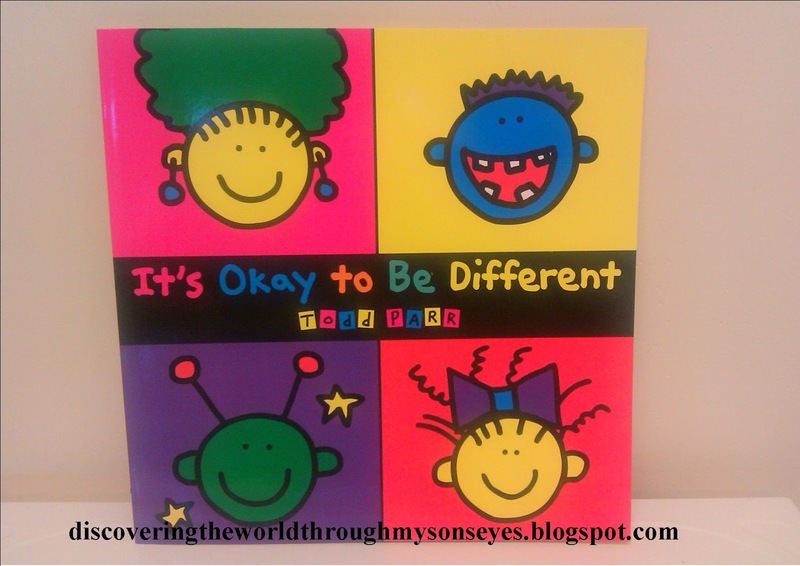 This book makes the children aware of differences and creates a sense of celebrating their individuality through acceptance of others. This is an adorable picture book about a rock fish named Adri who sets out to swim in the deep ocean only to find so many different fish, some are big, some are small, some colorful, some are grey, some swim alone, and some swim together. Adri is truly amazed about all the differences, and in the end his mother tells him that life is grand journey, and to be himself. This book is a celebration of our differences, and to always be true to yourself. 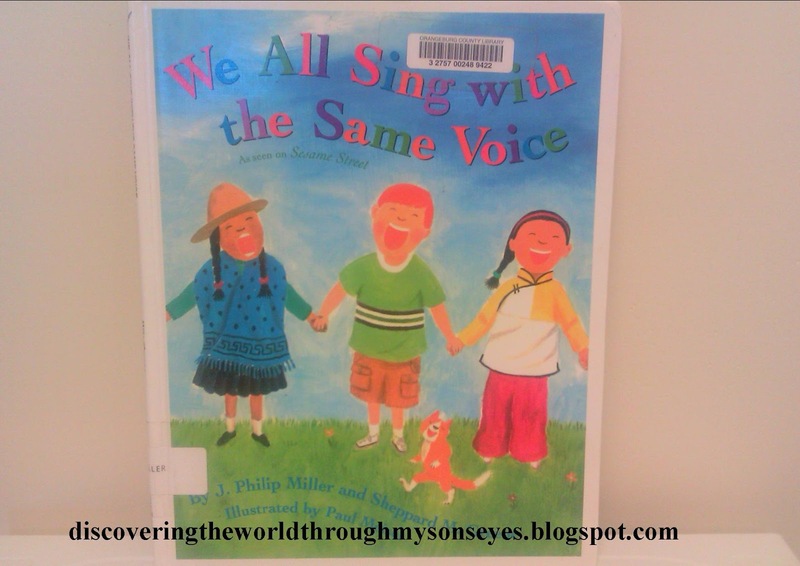 We All Sing with the Same Voice by J. Philip Miller and Sheppard M. Greene. This book comes from a classic Sesame Street song about differences by race, nationality, gender, and geography. I’ve included the video below so you can listen to the words of the song, which are exactly the same from the book. The message is that although we are different we are the same. Little one and I have often read these books together. So one day he had his best friend over, and I read the books to both. Afterwards, they just wanted to hold the books and look at the illustrations. 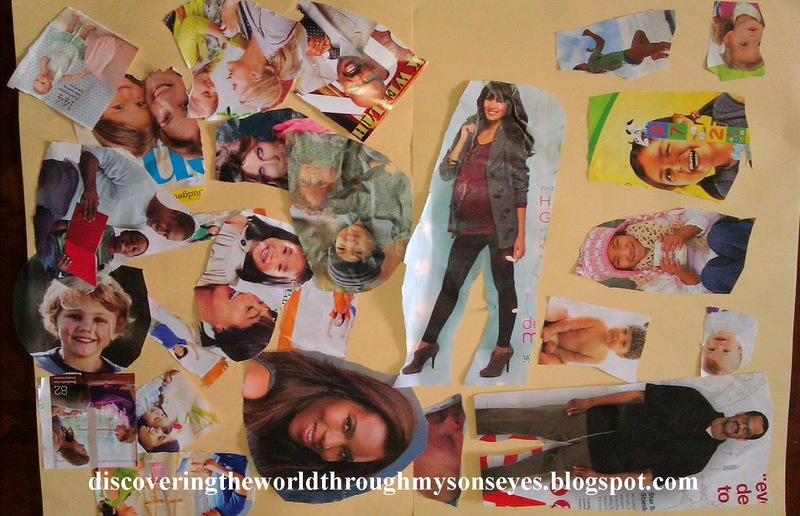 Once they finished, I gave them a bunch of magazines, kiddie scissors, construction paper, and glue so they can make a collage of different people. I asked them to cut out the “people” that they saw in the magazines and to glue them on the construction paper. The first “people” that my son cut out were a Black man and a woman who looked Latina. I asked who did they look like? He said, “Daddy and Mommy!” My son’s best friend cut out a Black woman, man, and little boy first. When I asked her who do they look like? She said, “My mommy, daddy and my little brother.” (Observation: I’m thinking that the first people they cut out are people who are close to them such as their parents). They cut out other people and races. After they finished, we sat down and discussed the differences they saw. Hair, eyes, skin color, and even facial expressions. I asked them what looked the same on all of them? Of course, they mentioned that everyone had eyes, hair, etc. We talked about the importance of being nice, and being accepting of others that look different. I told them that although different we are all the same! I often tell my child how special he is, and that his Mami and Papi love him dearly. Although he’s 4 yrs. old he’s on his way to learning how to celebrate his own multiculturalism through us (his parents), and he will be very proud of it! How do you celebrate multiculturalism at home? Would love to know! Thanks to Frances for this great post! Frances is a part-time blogger, mommy and wife of a beautiful multicultural familia. She has a Bachelor’s Degree in Business Administration with a certification in Human Resources. She blogs about discovering the world through her son’s eyes through everyday events, crafts, books, and travel as she teaches her son how culturally diverse our world is. In addition to her blog, you can also find Frances on Pinterest, Facebook, and Twitter. Thank you Leanna for allowing me to guest post for you! So excited, and just in time for MLK day. I finally got my computer back – I think we watched that video about 20 times!!! My girls loved it! A beautiful post Frances. 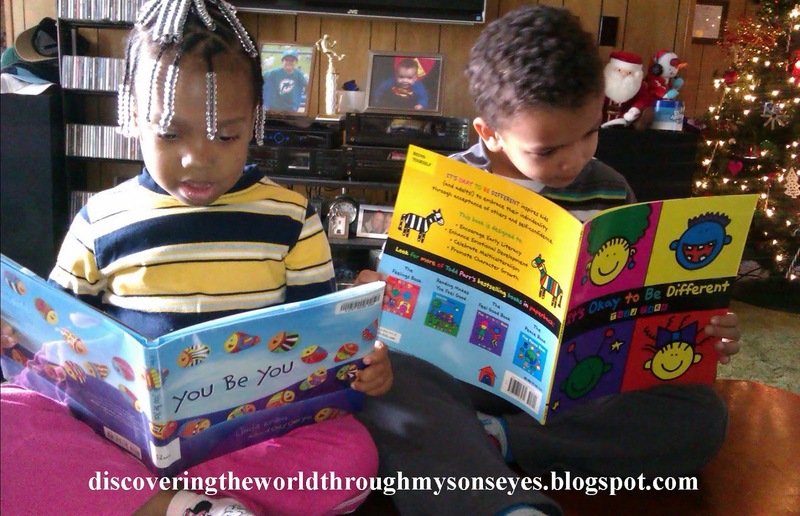 We love Todd Parr and after reading your review I want to try to get my hands on You be You. We All Sing with the Same Voice is clearly a new favorite and I think I will be singing it in my dreams tonight! I love the collage project and how you tied it into the stories. Hi Jody! Oh my, I’m a super late responding to your comment. 🙂 I’m glad you and the girls enjoyed watching the video. 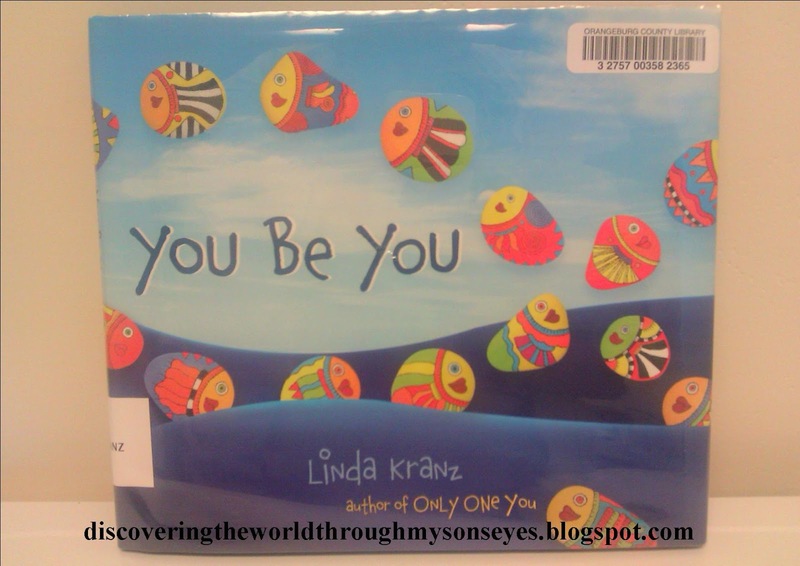 It’s an oldie, but goodie LOL By the way, Linda Kranz the author of You be You also has another book “Only One You” (with the same rock fish). I’m sure you’ll enjoy it as well. Thank you!